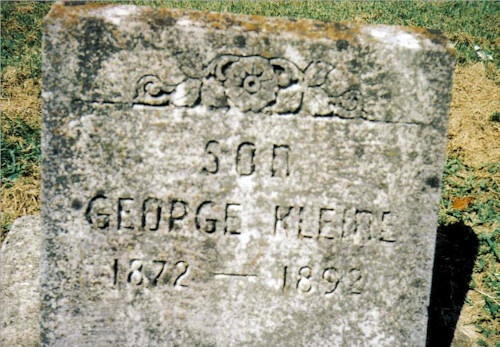 If you have an abandoned cemetery or a tombstone, please submit it to me to be posted on this page. If you have pictures of the site, please submit those as well. There is an old grave stone sitting behind a barn in the Newburgh area of Warrick Co. the people that own the property say the stone was already there when they moved there. They have no idea how it got there or where it came from. We have tried off and on for 5 years to locate descendants. 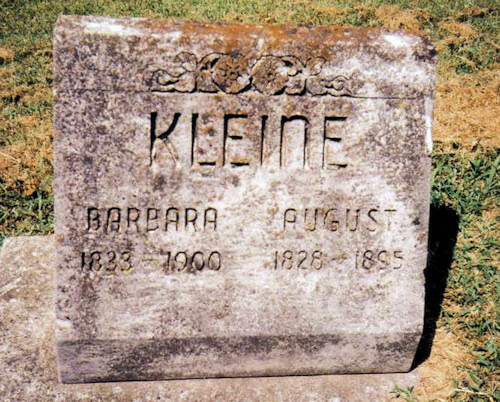 We have made many phone calls to Kleines listed in the phone book, with no luck. Note: 2-14-08: Burial site found in Rockport, In. City cemetery. The city clerk's office and they looked the names up in a plat book and drew us a map that would led us right to their burial site. The cemetery is maintained by the city and looked beautiful. We followed the map and went right to their graves. 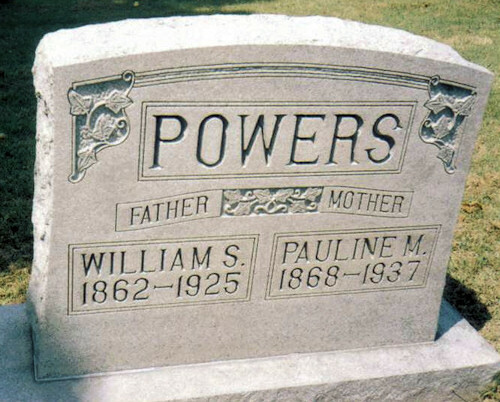 They both have stones and are buried by a son and a daughter and son-in-law.